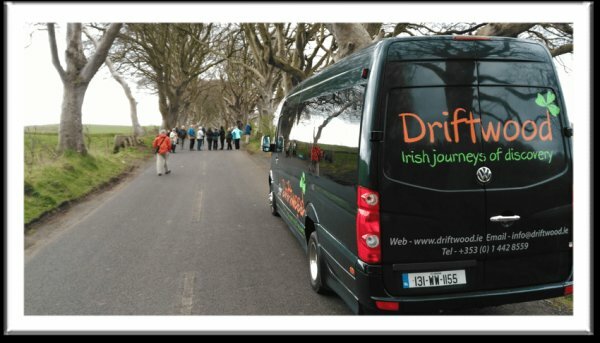 Welcome to our Driftwood Ireland Tours, we want you to love Ireland as much as we do. If you are looking for a fully guided, relaxing small group experience, then Driftwood is for you. You will be surrounded by Ireland’s majestic countryside, visiting hidden beaches and learning about high kings, giants and poets while travelling in comfort with a maximum group size of 15. You can discover the real country, get off the beaten track and onto the back roads where other tours cannot go. 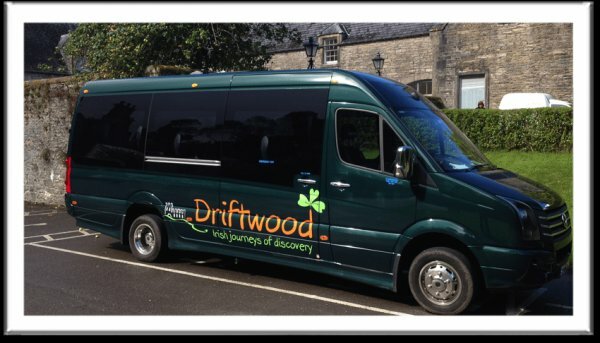 Smooth and very comfortable, our Driftwood mini-buses are a great way to see the country. 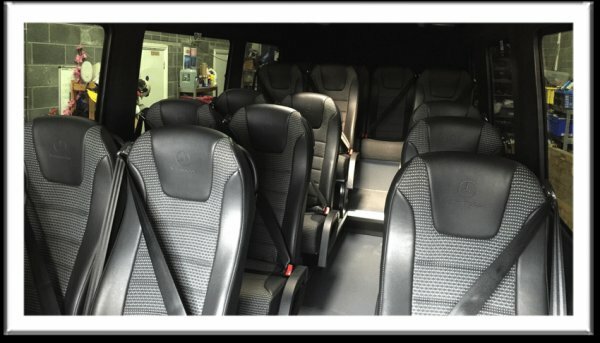 We use a range of modern Volkswagen and Mercedes buses with up to 16 passenger seats in each. They all have large windows so that you can make the most of the view. The buses can still get down all the tiny side roads and right off the beaten track, to show you a side of Ireland you might not otherwise experience. Driftwood and Vagabond tours our first and over-riding priority is the safety of our passengers, staff and the general public. To this end, we purchase quality buses and maintain them to the highest standards possible. To ensure the safe and smooth operation of our vehicles, we have introduced strict reporting and maintenance programs that exceed the manufacturers and regulatory guidelines. Each place is different and adds its own flavour to the tours, Driftwood has put a lot of work into finding just the right places and everyone seems really happy with the results. Instead or large impersonal hotels, stay in locally-owned establishments (in some cases for generations) where the welcome really is genuine. You'll even enjoy a one-night stay in a castle on most tours. Normally a mixture of B&B’s, small hotels and Lodges are used. A hot shower, a pint, a fire in the evening or heading down to the pub; what we can assure you is that wherever you stay, you’ll love it. Some of the hotels used on tour include: The Gougane Barra Hotel, West Cork; Dingle Bay Hotel, Dingle; Waterfront House Enniscrone; Beech Hill House Hotel, Derry; The Coachmans Townhouse Hotel, Kenmare; Abbeyglen Castle Hotel; Ballygally Castle Hotel; Waterford Castle Hotel; Markree Castle, Sligo.